Hello everyone and welcome to the final edition of our newsletter for term 3. Throughout the term a number of significant events took place. Firstly in week 4 we had our four year external School Review that was conducted by Ms Aderyn Chatterton, Regional Director Darwin and Ms Anne White, Director School Improvement. 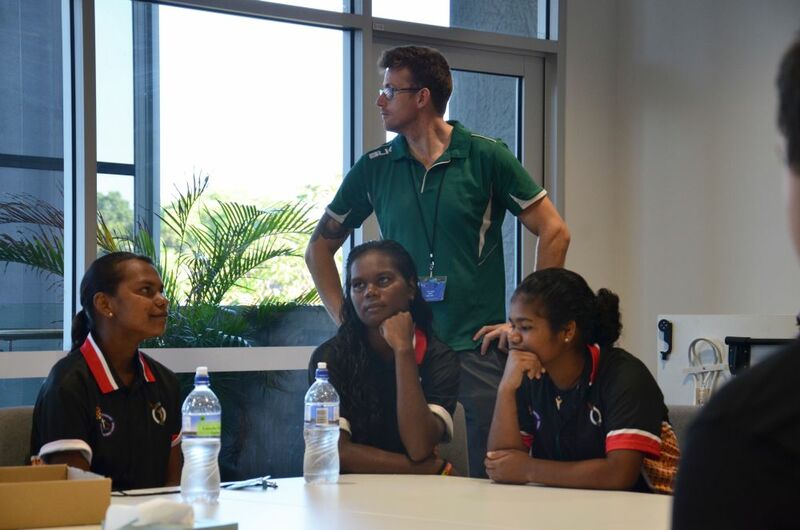 The team spent three days at the school looking at current school processes, seeking feedback from key stakeholders and speaking with both staff and students. The final report presented us with some fantastic commendations, great affirmations and a list of key recommendations that we will use to shape our new NTSDE three year Strategic Improvement Plan. 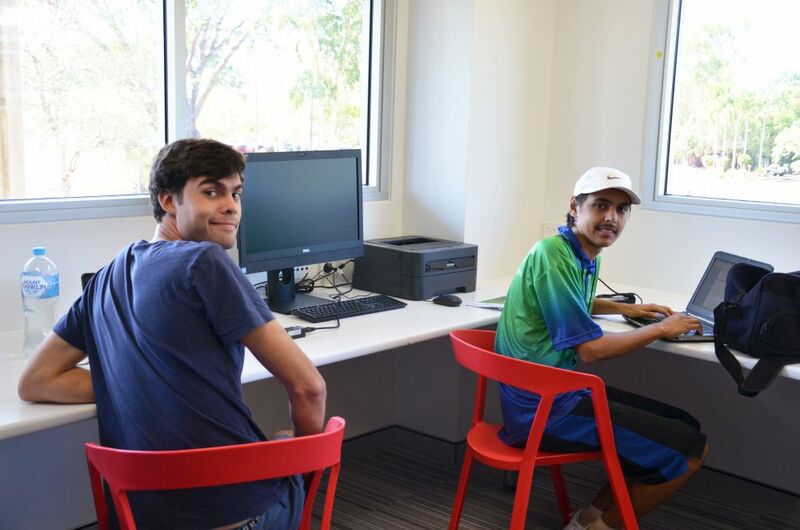 In week 4 we also held the first of two Residential Programs for our Year 10 and 11 dependent students. The week was very successful and the students certainly benefitted from another opportunity to work in a face to face environment with their teachers. 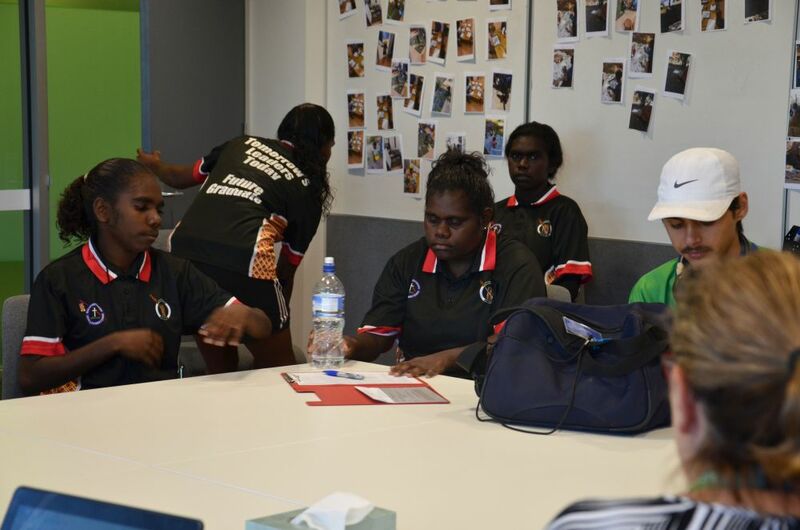 In week 7 we had our Year 12 Completers Residential School where those students who are potential NTCET completers spend a week finalising their assessments and where necessary preparing for final examinations. Again the students applied themselves well and left feeling more confident that they will be able to successfully complete their studies in November. You can read more about both these events in this edition of the newsletter. My Principal Review also took place during week 7 and the final report will provide me with recommendations on improving my performance moving forward over the next four years. A sincere thank you to all members of the NTSDE community who willingly participated in both the School and then my Principals Review. Your input was a very important as part of the ongoing development of whole school improvement processes. Our annual School Survey has concluded and the results are very positive. A larger number of students participated this year and their feedback will also contribute to improving our processes into the future. Thank you to all students, parents and teachers who participated in this year's survey. Special congratulations to three of our year 10 students Ebonnie Lockwood, Brody Mathews and Hunter Torr all of whom have had significant success across a number of national competitions this term. It's wonderful to see our students holding their own on the national stage. Well done! You can read more about which awards the students have received further on in the newsletter. As we move into the final break of the year I would encourage all students to take some time to look at the work that will need to be completed over the course of term 4. 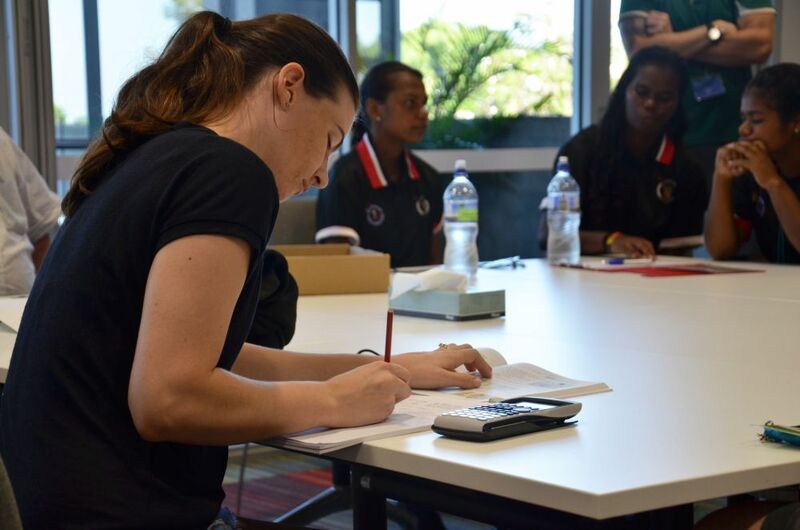 This final term is always a busy term for students as the end of year assessments are due and final tests and examinations conducted. I would also encourage all students to be sure to attend weekly lessons and make contact with their teachers when experiencing any difficulties with their course work. Seeking help sooner rather than later often means successful completion of both assessment tasks and overall courses completion. Finally I would like to wish all students and staff a restful and relaxing break and I look forward to welcoming those students who are completing their studies with us this year at our annual Graduation Evening on Friday 24th November. Congratulations to Ebonnie Lockwood who is the NTSDE Year 10 recipient of the Australian Defence Force 2017 Long Tan Youth Leadership and Teamwork Award. such as doing one’s best, respect for others and “mateship”, that are integral to Australian society. Ebonnie was regarded as the outstanding candidate because of her resourcefulness, teamwork, values and problem solving. Highlights of 2017 for Ebonnie include attending the Sparks Engineering Camp in Melbourne during the July holidays. Ebonnie was nominated by NTSDE, please see her article about the camp in this years edition of Outpost. 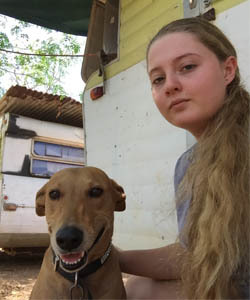 Ebonnie also undertook Work Experience as a Vet Nurse at Girraween Veterinary Hospital in the last week of the holidays. Best wishes for 2018 Ebonnie. 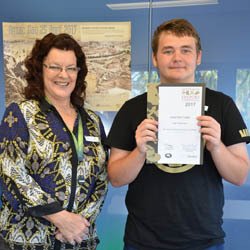 This year our Year 10 history students participated in the national Australian History Competition. This is a valuable activity run by the History Teachers Association of Australia, which challenges students to demonstrate their understanding of the historical inquiry process and to apply key skills in History. 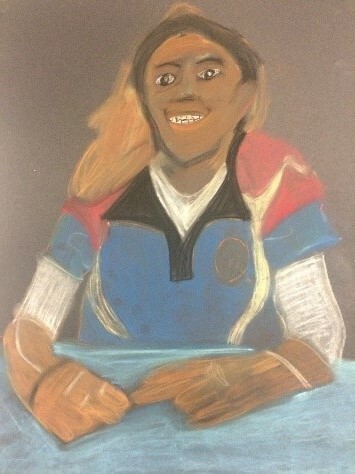 It is based on content drawn from the Australian Curriculum: History. Thousands of students representing every state and Territory participated in the competition, and I am very pleased to report that one of our students took out top honours in this very challenging competition. 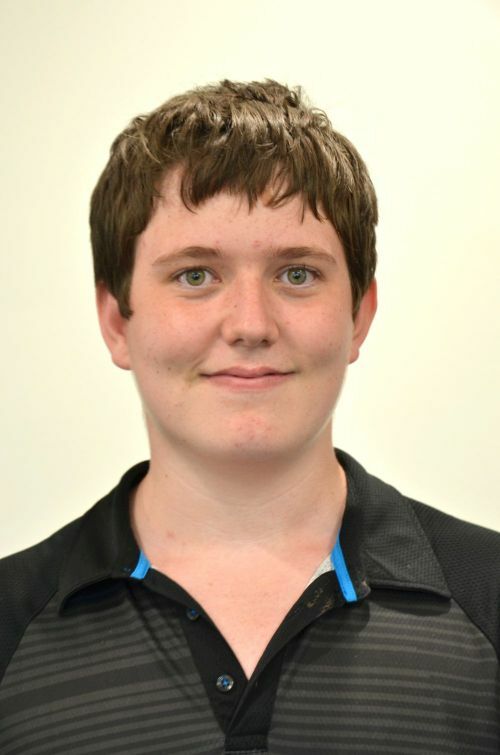 Brody Mathews achieved the highest marks in the NT and was awarded a High Distinction and the title of Year 10 Champion for the Northern Territory. This is a fantastic result for Brody and we congratulate him on his success. Brody received a specially minted medallion to recognise this wonderful achievement. Congratulations are also due to Hunter Torr, who achieved excellent marks and a High Distinction, and to all the students who participated in the competition and gave it their best shot. All students received certificates to commend their efforts. Well done to all our Year 10 students, and to their excellent Year 10 History teacher in 2017, Ms Sand Williams. 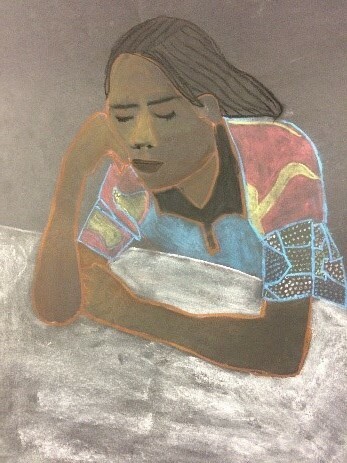 Twelve Ngukurr students are working enthusiastically, towards an exhibition to be held at their school next term. 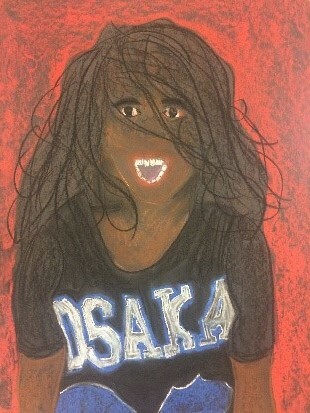 'Portraits' is the theme for their Stage 1 Creative Arts course this semester. 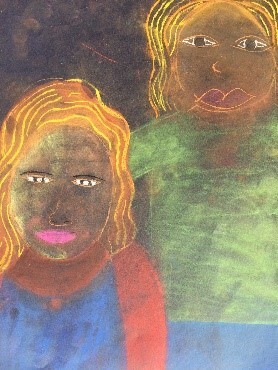 Drawing on the ideas of other artists the students have been developing their skills in drawing faces as well as experimenting with acrylic paint, watercolour and pastels. 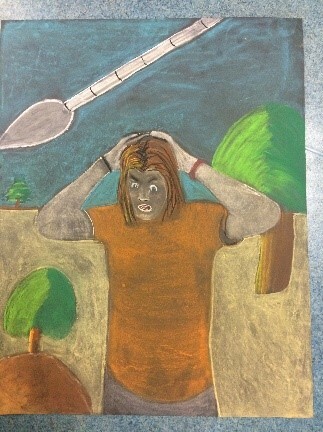 Different portraits by other artists have been analysed to find how artists convey moods and emotions and compose their portraits. 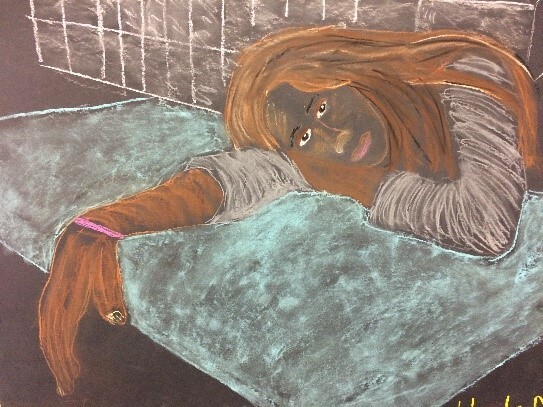 This has been helpful before students decide how they will produce their own portraits. Planning and presenting the final exhibition will the basis for their Investigation assessment and, of course, it will be lots of fun for students to host the exhibition. Certainly I am looking forward to seeing the final portraits and fingers crossed that I can get to the opening! 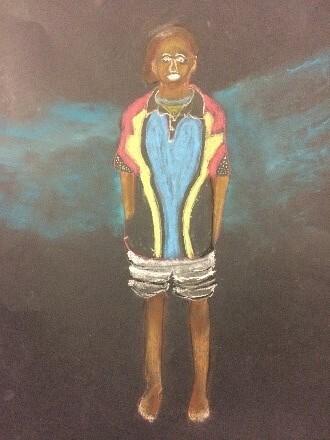 NTSDE held their 2017 Potential Completer's Residential School with 19 Stage 2 students attending from Alyangula, Elcho Island, Jabiru, Wurrumiyanga (Bathurst Island) and Yulara. 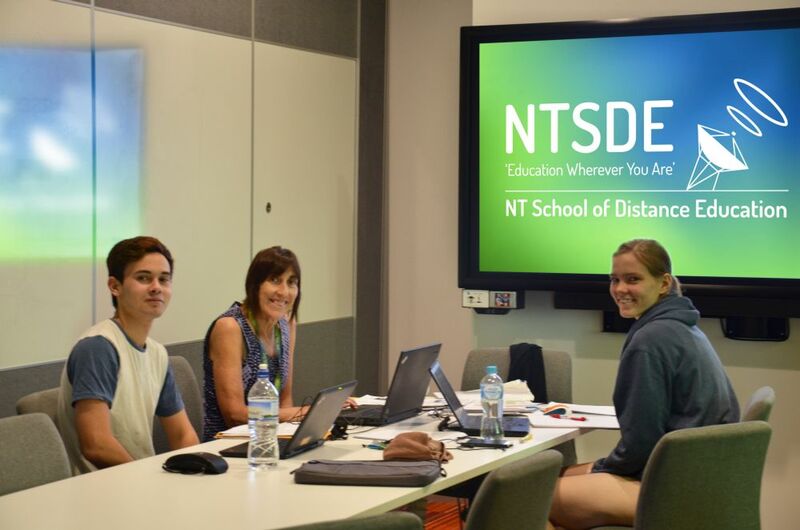 As students are nearing the end of their Year 12 studies they were focused on completing assessment tasks and preparing for exams with five day of timetabled lessons with their NTSDE teachers. Students, however, did receive some light relief by attending King Pin and playing Laser Tag and Arcade Games! It has been a pleasure to witness the growth and development of these talented young adults over their senior secondary journey. 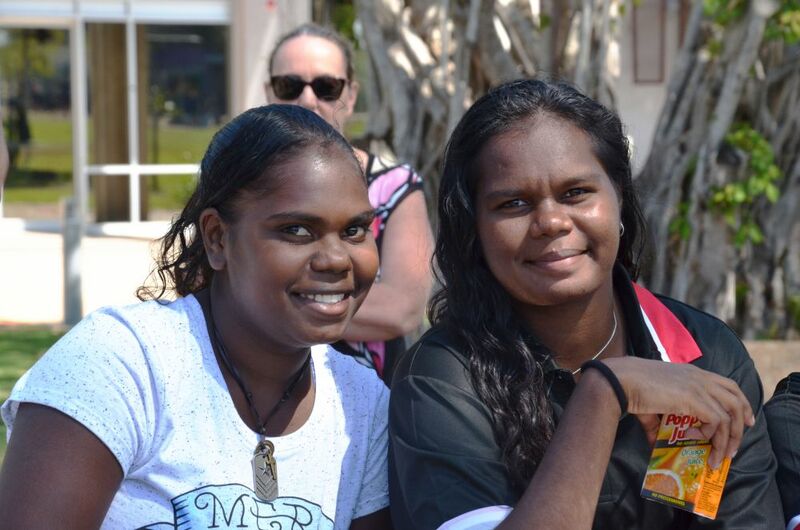 The Northern Territory Back to School Payment Scheme Policy has been updated to provide better clarity around the use of the scheme, including providing a choice of appropriate goods and services. To further assist in understanding the scheme, supporting Guidelines and Frequently Asked Questions are now also available on the department's website. The purpose of the Back to School Payment Scheme remains unchanged - to assist families with the costs of getting their children back to school at the beginning of the school year. The scheme entitlement is to the value of $150.00 of eligible goods and services per enrolled student and is redeemable from the school at which the student first attends. Goods and services must assist with educational outcomes. It provides eligible students with an entitlement to receive educational items in each school year, with these items to be purchased only from the eligible student's school. The scheme entitlement is not intended to support the provision of standard curriculum or to redeem parent voluntary contributions. In Term 4, 2017, you will receive information on how you can redeem the Back to School Payment Scheme for 2018. The SRC has completed the process of selecting the new NTSDE Student School Shirt. It was not straight forward, with lots of options, designs and colours. After (we thought) the final design and colour scheme was agreed upon, the order was sent off to the manufacturer where a sample shirt was created and sent back to us for try out. 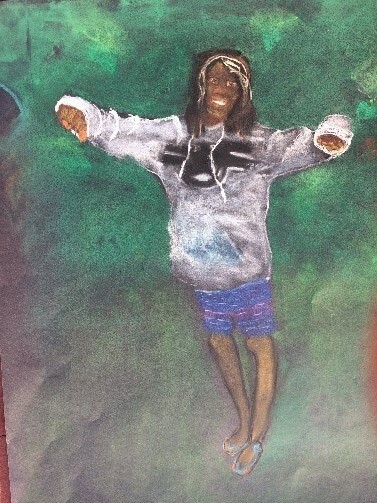 It was discovered that, while the chosen design looked fine on the computer screen, it didn't translate into the shirt we wanted when sewn into the real thing. 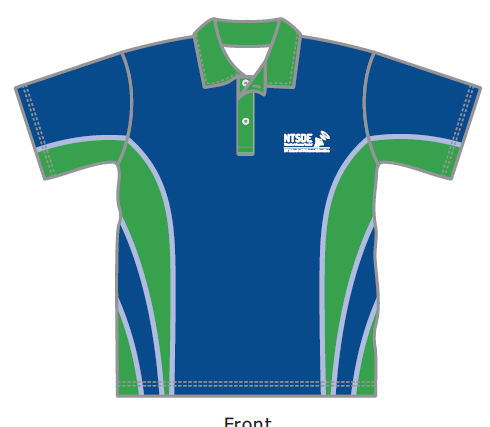 So the SRC went back to the drawing board and decided on the shirt which will look like the picture. When the shirt finally arrives the new model will be ready to go. We hope that you agree that it is a welcome addition to the schools appearance and character.